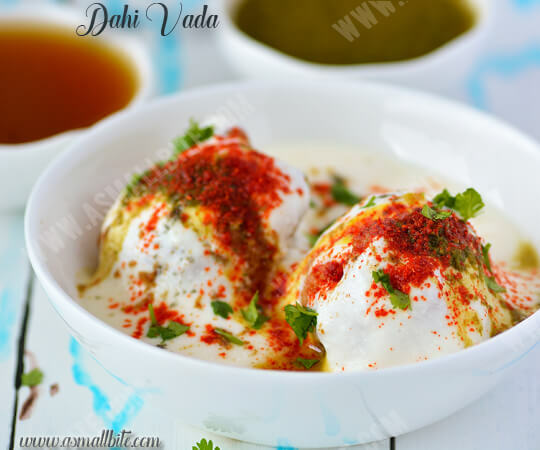 Dahi Vada Recipe / Dahi Bhalla Recipe is a popular chaat item, usually prepared by soaking vada in warm water for few minutes then squeezed, topped with creamy curd, chaat chutneys and sprinkled with spice powders. First, soak urad dal in enough water for a minimum of 3 hours. Then rinse it well and drain the water completely. 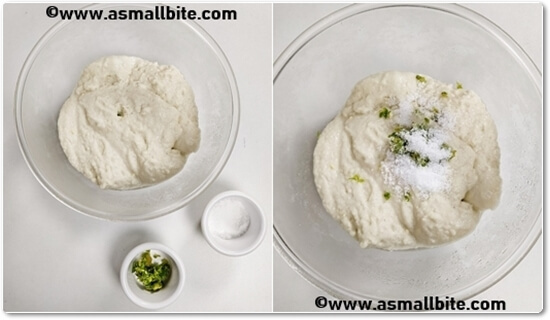 Transfer the urad dal to a mixer and grind it to a soft and fluffy batter. Don't pour the water and grind, just about 1.5 tbsp of water is enough, the batter should be thick. Then add the green chilli-ginger paste, jeera and required salt. 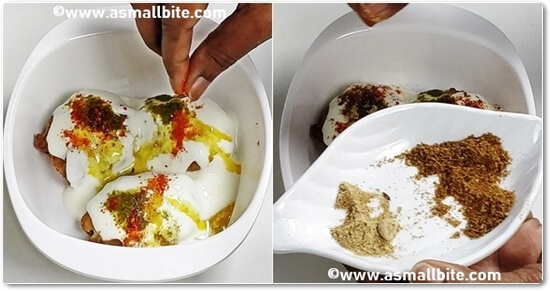 You can also grind the chilli, ginger along with the batter also. Mix everything well. Heat oil in a kadai / pan, then wet your hands with water and pinch little batter. 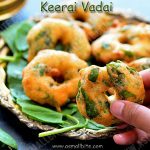 Drop the batter in the oil slowly, no shape is required for this vada. Fry in medium flame by constant stirring, till both the sides turn to golden colour. To a bowl of warm water (not hot water), keep the vada's soaked for 15 minutes, not for a long time, else the vada's become mushy. Ensure the vada's are hot or warm at least when soaking, so it absorbs the water quickly. 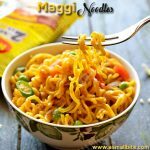 After 15 minutes, press each vada gently and squeeze the water from it. Arrange it in a serving bowl or plate. Then, add sugar and salt to the thick curd. Beat the curd till smooth with a hand whisk. Then measure and keep all the ingredients ready for assembling. First, pour curd over the vada, followed by green chutney and sweet chutney. Then sprinkle red chilli powder, jeera powder and chat masala powder. If preferred, sprinkle black salt over it. Finally, garnish with coriander leaves. Serve this Dahi Bhalla recipe immediately. Soak the urad dal for a minimum of 3 hours. It yields a soft and fluffy batter. Also, don't pour water and grind the batter, else it absorbs more oil. If preparing later, Keep the batter in refrigerator till use. Also, add salt just before frying, else there is a chance of the batter turning little watery. 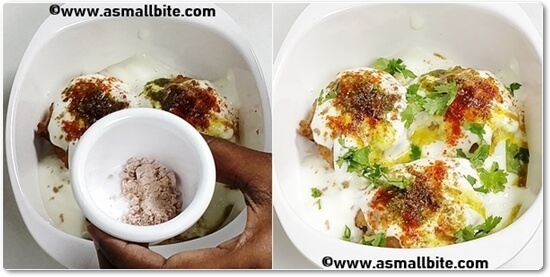 The original Dahi Bhalla Recipe, says to add 1 tbsp of raisins and broken cashews to the batter. 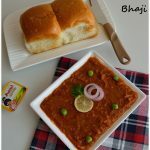 For variation, an equal quantity of urad dal and moong dal can be used. 1. Never fry the vada in high flame, otherwise, it won't get cooked inside. 2. Ensure the vada is hot or warm when soaking in water, so it easily absorbs the water. 3. Also, add the vada to warm water only not steaming hot water, else it becomes mushy. 4. Don't keep the vada immersed in water more than 15 minutes. 5. Squeeze the water properly from the vada else it leaves the water when assembling and makes the curd watery. 1. 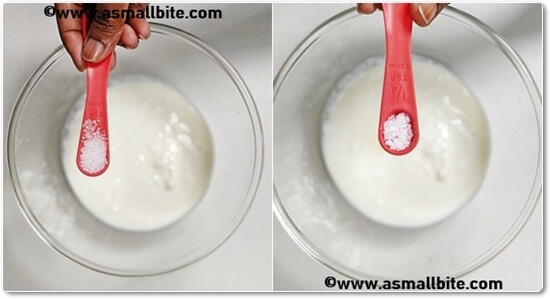 Use thick curd only and don't use sour curd as it changes the whole taste. 2. 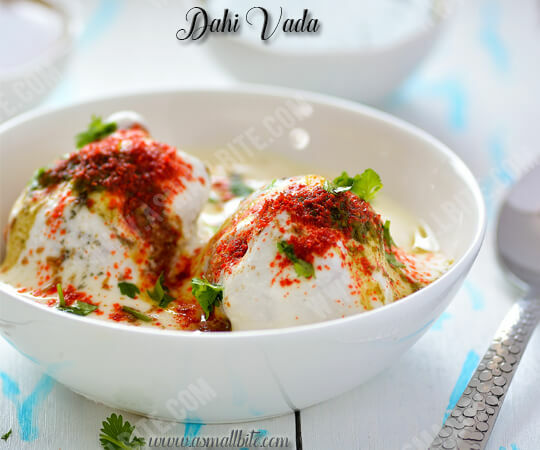 Beat the curd and keep in the refrigerator, as chilled curd tastes good for this dahi vada recipe. 3. Addition of sugar in the curd enhances the taste, but it's optional only. 4. 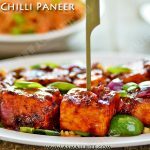 Furthermore, adjust chat chutneys, chilli powder, jeera powder, chat masala as per taste and spiciness preferred. 1. First, soak urad dal in enough water for a minimum of 3 hours. Then rinse it well and drain the water completely. Transfer the urad dal to a mixer and grind it to a soft and fluffy batter. Don’t pour the water and grind, just about 1.5 tbsp of water is enough, the batter should be thick. Then add the green chilli-ginger paste, jeera and required salt. You can also grind the chilli, ginger along with the batter also. Mix everything well. 2. Heat oil in a kadai / pan, then wet your hands with water and pinch little batter. 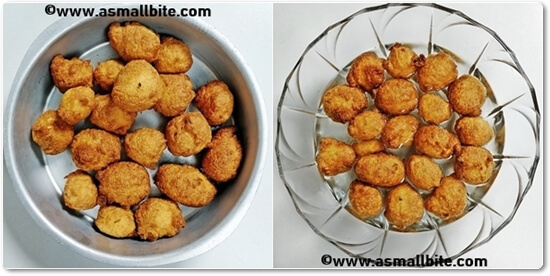 Drop the batter in the oil slowly, no shape is required for this vada. Fry in medium flame by constant stirring, till both the sides turn to golden colour. 3. To a bowl of warm water (not hot water), keep the vada’s soaked for 15 minutes, not for a long time, else the vada’s become mushy. Ensure the vada’s are hot or warm at least when soaking, so it absorbs the water quickly. 4. After 15 minutes, press each vada gently and squeeze the water from it. Arrange it in a serving bowl or plate. 5. Then, add sugar and salt to the thick curd. 6. Beat the curd till smooth with a hand whisk. Then measure and keep all the ingredients ready for assembling. 7. 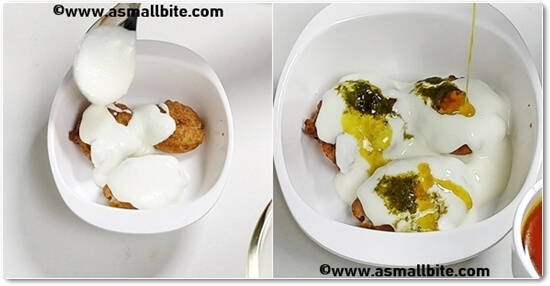 First, pour curd over the vada, followed by green chutney and sweet chutney. 8. Then sprinkle red chilli powder, jeera powder and chat masala powder. 9. If preferred, sprinkle black salt over it. Finally, garnish with coriander leaves.